Police have filed charges against an Eastern Iowa couple who were found to have around 700 living and dead animals in their home earlier this year. Those animals included birds, rabbits, reptiles and hundreds of guinea pigs – said to be in crowded and unsanitary conditions. Authorities executed the search warrant in Vinton on January 16 and called it one of the largest animal rescues in state history. Now, 38-year-old Barbara Galkowski and 36-year-old Marshall Galkowski are facing charges of child endangerment and animal neglect. 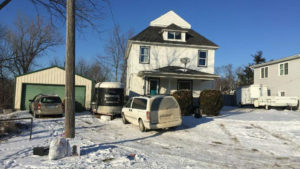 The couple lived in the home with their three children, who are between the ages of 5 and 14. Police claim, because of the animals, the children could’ve been exposed to infectious diseases.